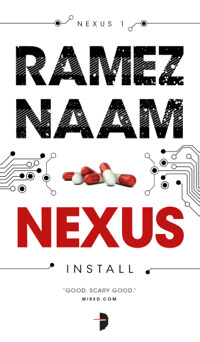 Ramez Naam is the author of 5 books, including the award-winning Nexus trilogy of sci-fi novels. 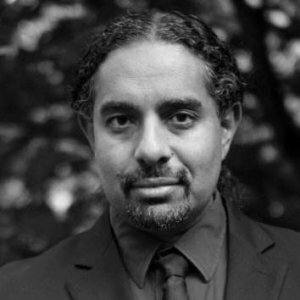 Follow him on twitter: @ramez. A shorter version of this article first appeared at TechCrunch. 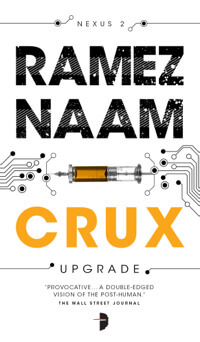 – Adapted from Crux, book 2 of the Nexus Trilogy. The second barrier to brain interfaces is that getting even 256 channels in generally requires invasive brain surgery, with its costs, healing time, and the very real risk that something will go wrong. That’s a huge impediment, making neural interfaces only viable for people who have a huge amount to gain, such as those who’ve been paralyzed or suffered brain damage. 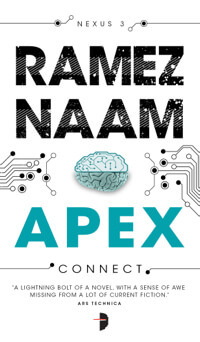 – An excerpt from Apex, book 3 of the Nexus Trilogy. Implants that help repair brain damage are also a gateway to devices that improve brain function. Think about the “hippocampus chip” that repairs the ability of rats to learn. Building such a chip for humans is going to teach us an incredible amount about how human memory functions. And in doing so, we’re likely to gain the ability to improve human memory, to speed the rate at which people can learn things, even to save memories offline and relive them — just as we have for the rat. The impact goes deeper than the personal, though. Computing technology started out as number crunching. These days the biggest impact it has on society is through communication. If neural interfaces mature, we may well see the same. What if you could directly beam an image in your thoughts onto a computer screen? What if you could directly beam that to another human being? Or, across the internet, to any of the billions of human beings who might choose to tune into your mind-stream online? What if you could transmit not just images, sounds, and the like, but emotions? Intellectual concepts? All of that is likely to eventually be possible, given a high enough bandwidth connection to the brain. That type of communication would have a huge impact on the pace of innovation, as scientists and engineers could work more fluidly together. And it’s just as likely to have a transformative effect on the public sphere, in the same way that email, blogs, and twitter have successively changed public discourse. – An excerpt from Nexus, book 1 of the Nexus Trilogy. For now, we’re a long way from facing such a choice. In fiction, I can turn the neural implant into a silvery vial of nano-particles that you swallow, and which then self-assemble into circuits in your brain. In the real world, clunky electrodes implanted by brain surgery dominate, for now. That’s changing, though. Researchers across the world, many funded by DARPA, are working to radically improve the interface hardware, boosting the number of neurons it can connect to (and thus making it smoother, higher resolution, and more precise), and making it far easier to implant. They’ve shown recently that carbon nanotubes, a thousand times thinner than current electrodes, have huge advantages for brain interfaces. They’re working on silk-substrate interfaces that melt into the brain. Researchers at Berkeley have a proposal for neural dust that would be sprinkled across your brain (which sounds rather close to the technology I describe in Nexus). And the former editor of the journal Neuron has pointed out that carbon nanotubes are so slender that a bundle of a million of them could be inserted into the blood stream and steered into the brain, giving us a nearly 10,000-fold increase in neural bandwidth, without any brain surgery at all. Even so, we’re a long way from having such a device. We don’t actually know how long it’ll take to make the breakthroughs in the hardware to boost precision and remove the need for highly invasive surgery. Maybe it’ll take decades. Maybe it’ll take more than a century, and in that time, direct neural implants will be something that only those with a handicap or brain damage find worth the risk to reward. Or maybe the breakthroughs will come in the next ten or twenty years, and the world will change faster. DARPA is certainly pushing fast and hard. In the meantime, I’ll keep writing novels about them. Just to get us ready.